Justs won the right to sing for Latvia in Stockholm, by winning the Latvian national selection Supernova in February. 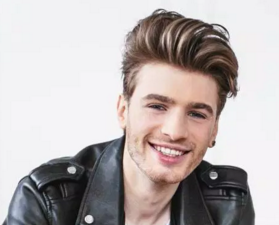 The young and aspiring 21 year old singer will be representing his home country at the 2016 Eurovision Song Contest with the song Heartbeat, written by last year’s Latvian Eurovision representative Aminata. Justs launched his solo career by participating in Latvia’s national Eurovision selection. He names Ray Charles, Michael Jackson, The Neighbourhood and Glass Animals among his musical influences. Justs’ diverse musical activities include providing lead vocals for Latvian hip-hop artists Gacho on the record as well as live on tour and being part of funk-rock band TaxFree and Bunch of Gentlemen. Justs began his musical journey as a street musician in Riga. Justs studies at Riga Teacher Training and Educational Management Academy to become a vocal coach for popular and jazz music and his long-term goal is opening an alternative music school. Additionally he has teamed up with his friends and is in process of creating an APP that he himself describes as Tinder for musicians. ESC+Plus: Hello! First of all, thank you for your time and congratulations on having been selected to take part in the Latvian national selection for Eurovision. E+: Can you tell us about you, your musical career and important achievements? I am 20 years old singer/songwriter from Latvia. I started my musical career at the age of 6. I’ve been singing at Riga Dome Choir School where I learnt music theory, piano, performing arts, jazz theory, improvisation and ensemble (combo), which significantly affected the further life path. Then, I’ve been singing and playing on the streets of Riga for a few time when I was 16. Shortly after that, I founded my first band called TaxFree. We were all the same age starting something new. First songs, first concerts, first fails and first victories happened that time. Few years later, one popular band in Latvia called GACHO noticed me and I started to do shows with them. I got known in bigger stages, with management and fan base. I have performed in some big Latvian festivals like SUMMERSOUND, HOLI. Me and my band also gave our own concert in PALLADIUM concert venue. However, in this project, I wasn’t in the main role, so I continue to work with my vocal coach looking around for opportunities. Now, I am presenting my first single at Supernova 2016, the Eurovision national selection. E+: What impelled you to take part in “Supernova 2016”? Challenge! It was definitely a challenge and an own desire of being evaluated. That’s what made me to do it. E+: How did you feel when you knew you had qualified for the live shows? Did you expect it? Well, I was happy and I realized that it is gonna happen for real and there is no turning back. Of course, another part of me thought that it was not true until I saw it written. 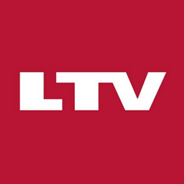 E+: What it would mean for you to represent Latvia? E+: Can you tell us about your song? What is the story behind the lyrics? The song is about love and the pain it sometimes causes. It is like a prayer to forget all the bad that happened and start everything from the beginning. Even that’s prayer, it could not be heard and just resound in the silence, you can’t move on without saying it out loud. E+: Aminata Savadogo, who represented Latvia at Eurovision 2015, is the composer of your song. How have you experienced working with such a talented artist? Working with Aminata has been very easy and fun for me although she is very demanding and hardworking , she is also funny and sweet, and that is kind of close to my character, so it is nothing but wonderful to work with her. E+: Why do you think your song has to be selected for Stockholm? What are you strengths to reach the top in the competition? I think my song has to be selected for Stockholm because it is absolutely perfect for the Eurovision format and my vocal skills and pure heart will absolutely take me to the top. E+: Have you started to prepare your stage performance for “Supernova 2016”? Of course! 😀 My crew and I started a month ago. E+: Do you usually watch Eurovision? What are your favorite songs in the history of the competition? Yes, I watch Eurovision every single year. Well, it is a VERY hard question for a musician because I think that the artists who watch this show are completely different from everyone else. We value different details giving a professional opinion of every show, so I can’t tell you. E+: Besides Eurovision, what are your plans for this year? Ahhhhhh so many huge plans!!! New songs, New videos, EP album and many concerts, lots of recordings etc. E+: Finally, can you send a message for our readers and Eurovision fans? Hey guys!!! I hope you are learning the lyrics of my song Heartbeat, because I am on my way to you and I hope, when I get there, we can sing my song together. See you soon!!! E+: Thanks for your time and good luck!